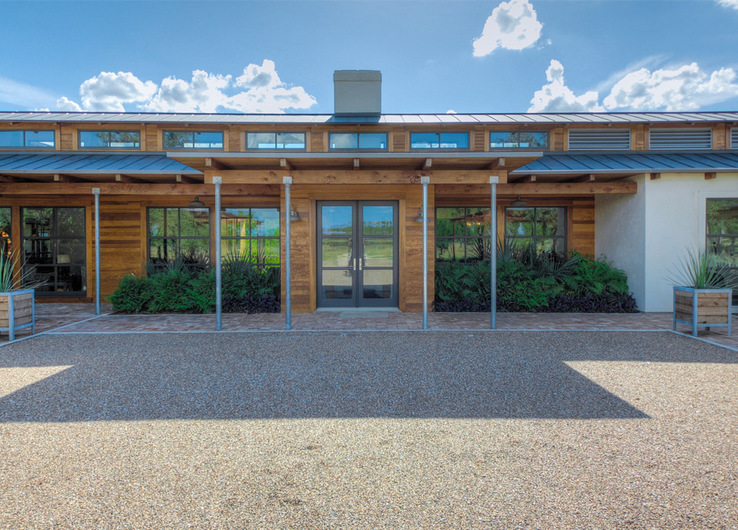 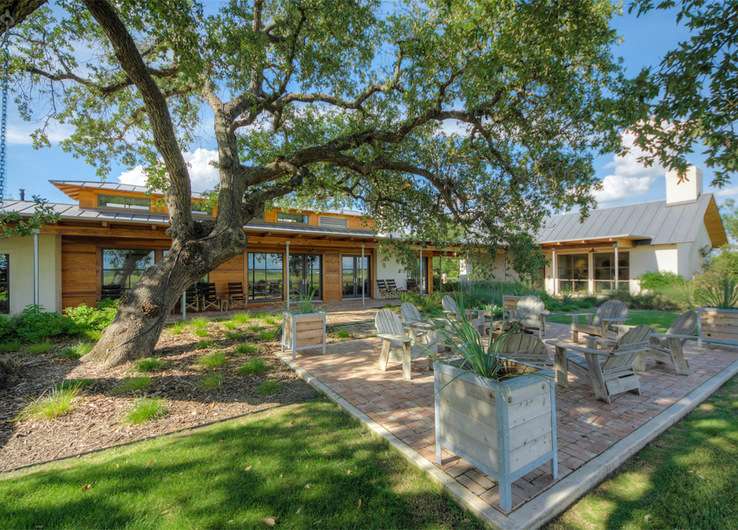 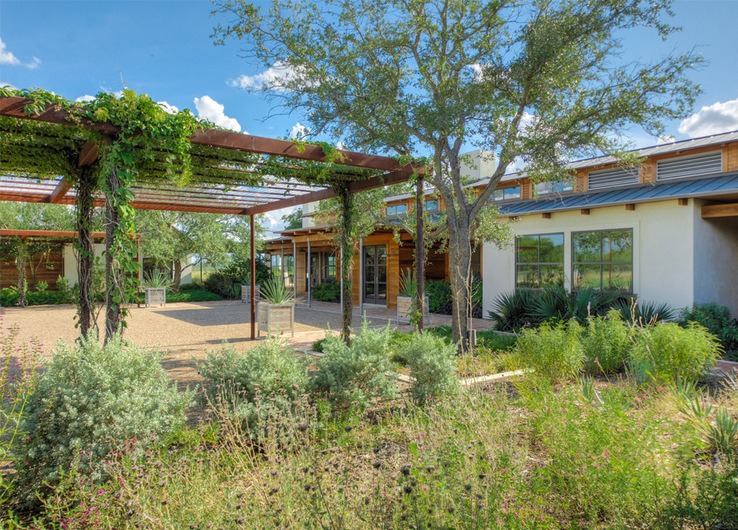 This family living compound is situated on a 1200 acre South Texas ranch on the site of an existing foreman's house. 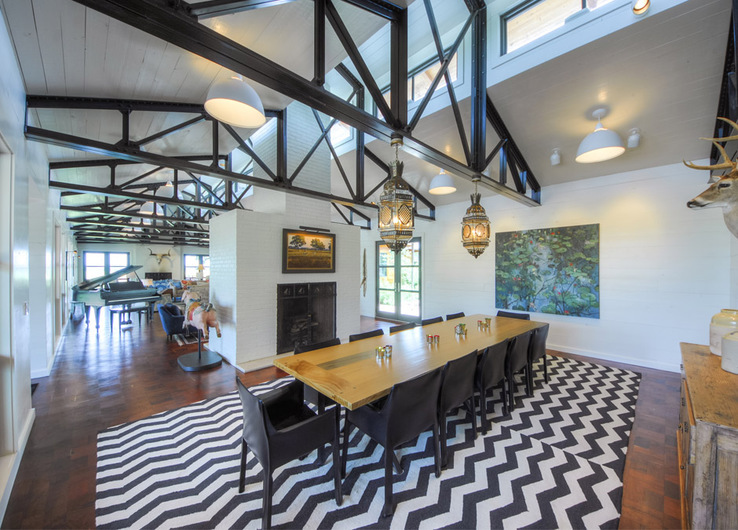 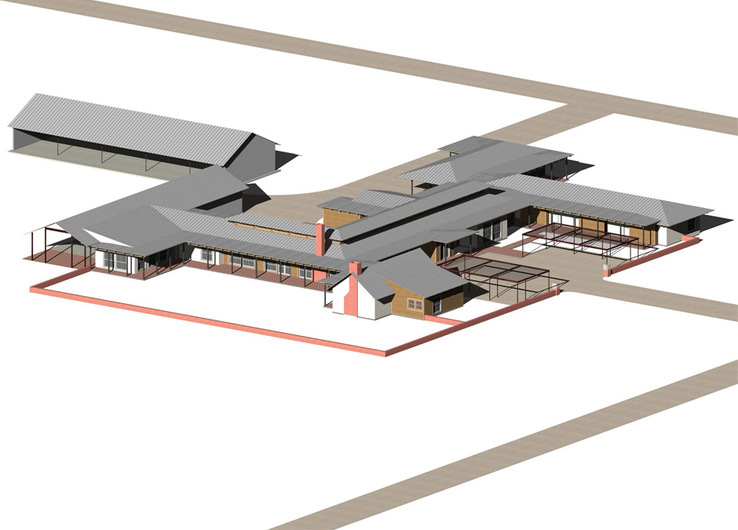 After exploring options for all new construction, the decision was made to conserve resources and incorporate the modest existing house as well as several low-slung barn structures into the new complex. 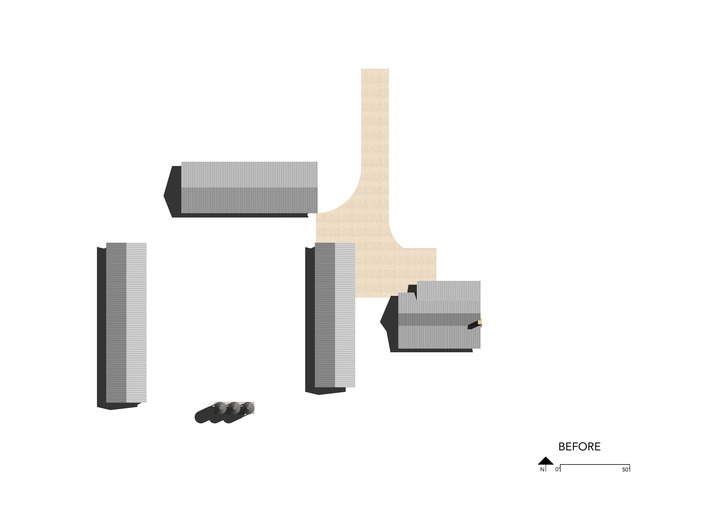 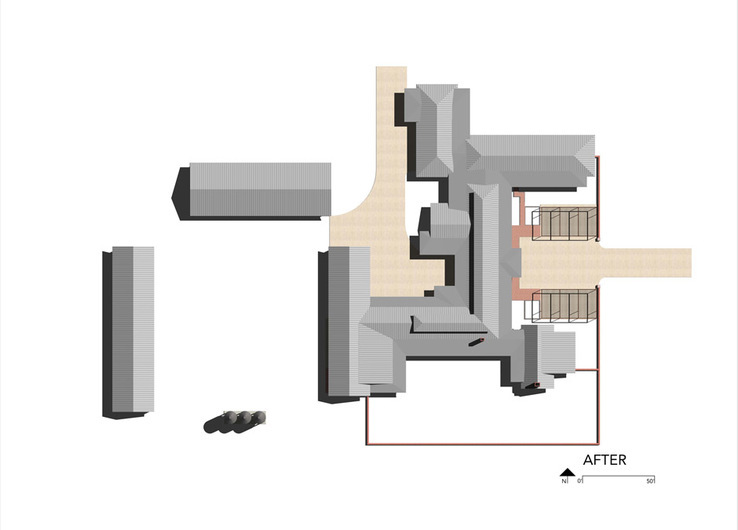 The shells of the existing buildings are re-used, but otherwise the entire structure is re-imagined. 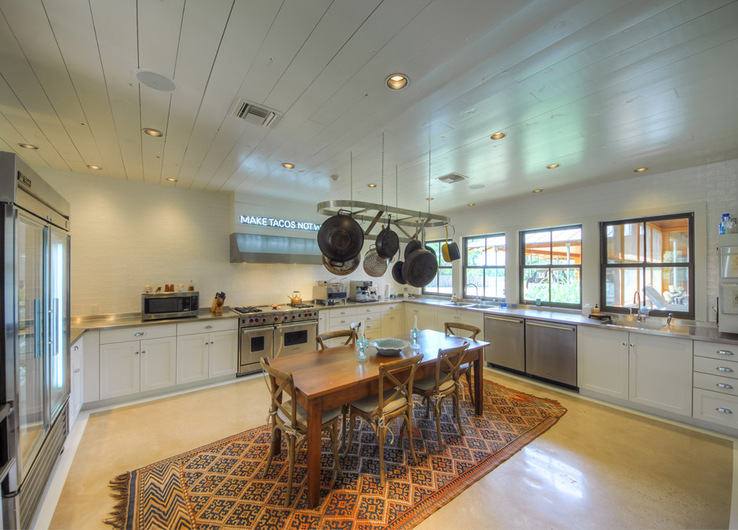 Existing interiors are re-purposed and new additions to the north and east contain a children's bedroom wing, dining, and kitchen. 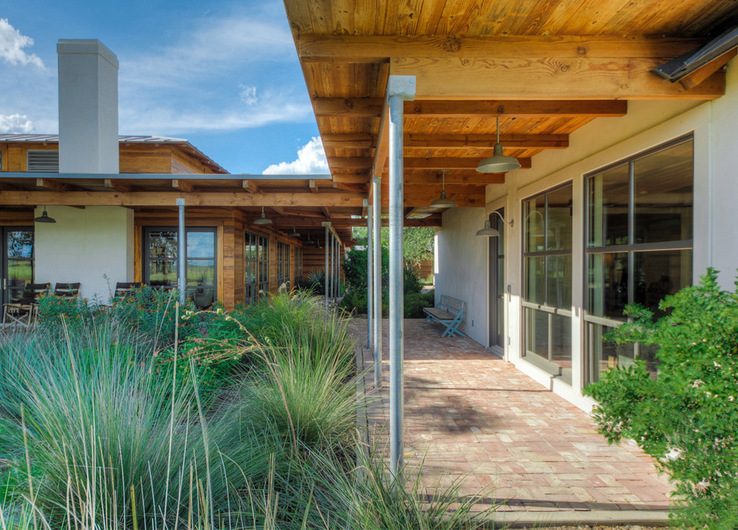 A new master suite to the southwest and guesthouse to the southeast provide privacy and form an entry courtyard for guest parking. 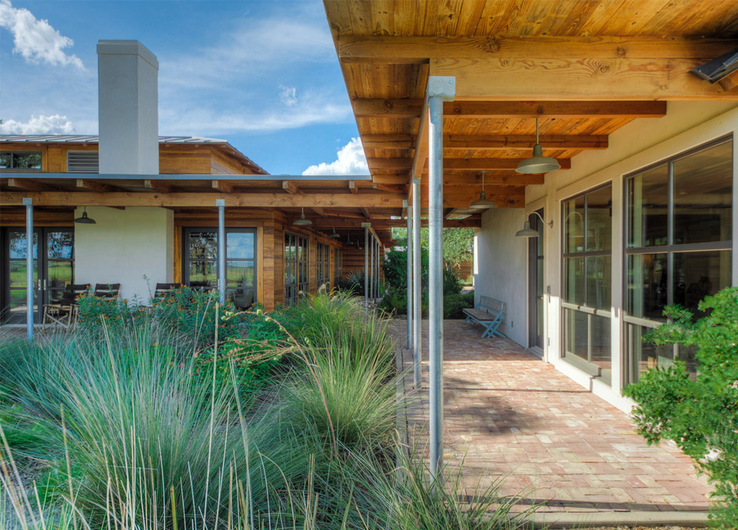 The compound is linked with covered porches which organize the plan, enhance ventilation and shade, and mitigate the overall building scale. 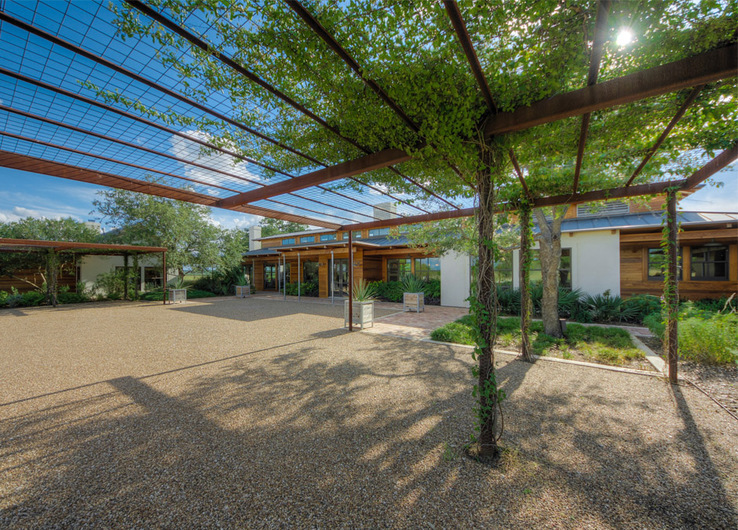 The exterior is sheathed in wood siding and stucco, the roof and exposed metal structure is galvanized steel. 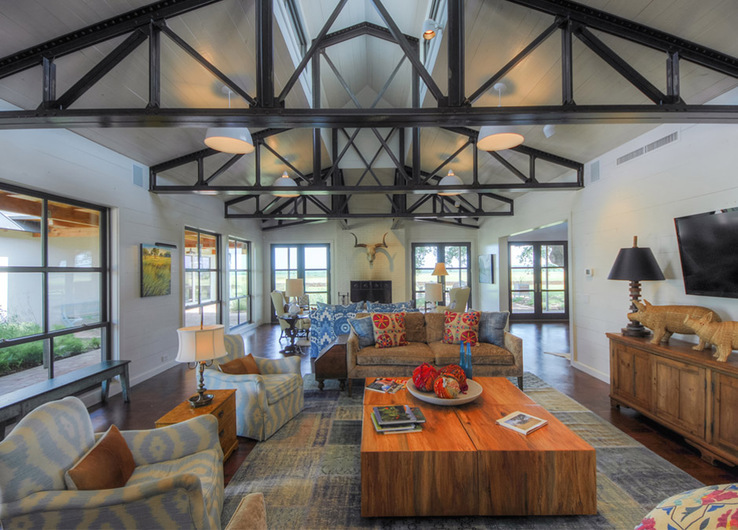 The interior utilizes materials salvaged from demolition as well as unique mesquite-block floor milled from dead trees on the property.